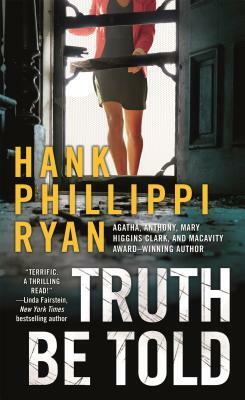 Truth Be Told, part of the bestselling Jane Ryland and Jake Brogan series by Agatha, Anthony, Mary Higgins Clark, and Macavity Award-winning author Hank Phillippi Ryan, begins with tragedy: a middle-class family evicted from their suburban home. In digging up the facts on this heartbreaking story-and on other foreclosures- reporter Ryland soon learns the truth behind a big-bucks scheme and the surprising players who will stop at nothing, including murder, to keep their goal a secret. Turns out, there's more than one way to rob a bank. “Ryan's latest in her Jane Ryland series is a gem. Deception and greed lead to murder in this excellent novel that is enhanced by Ryan's background as an investigative reporter.” —RT Book Reviews, Top Pick!